Today is the day that President Trump will deliver his State of the Union Address reading from a teleprompter, talking about bipartisanship, and how great he has made America. Until he begins his Twitter Storm tomorrow morning his speech will be hailed by members of the mainstream media as being “Presidential,” in the same kind of language that Fahreed Zakaria praised the tele-Trumpter speech the President made at Davos. For eight hours tonight the mainstream media will be lost in Presidential praises even as the Fox News Pundits break into chants of “Seig Heil!,” but I digress, because by noon Wednesday things will be back to normal. But it is also a day where Congressman Devin Nunes will release a report attacking the veracity and motivations of FBI and Justice Department officials involved in the investigation of the President and his advisors attempts to collude with a hostile foreign power and obstruct justice before and after the 2016 election. This is actually very remarkable because it is something that has never happened in the history of the House of Representatives regarding a case involving national security. Personally, back during my 32 years as a Republican I always thought that House or Senate Democrats might do something like this but they disappointed me by never stooping to release information that might obstruct justice while at the same time kneecapping Federal law enforcement agencies. Honestly I used to think that undermining national security was something that Democrats did, I never, even after I left the GOP in 2008 thought it was something that Republicans would do; but Congressman Nunes and is compatriots are determined to ruin my fantasy that the GOP was really a pro-law and order and national security party. 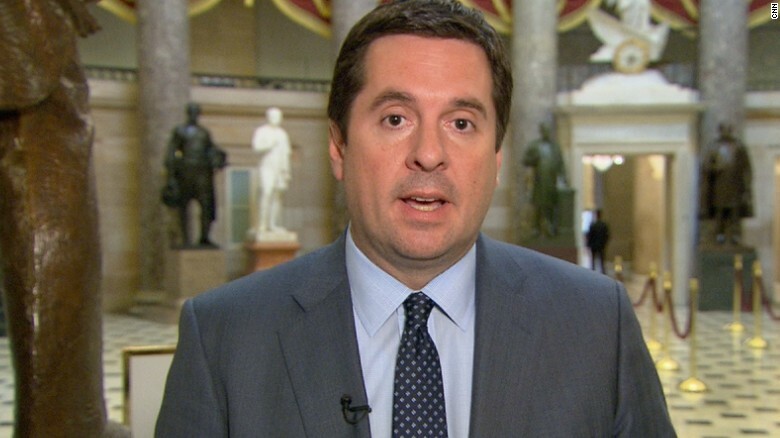 I mean really, even after I left the GOP their arguments about being strong on national security and pro-law enforcement gave me a hard on, but even with the blue pill I don’t think that I could get it up again after Mr. Nunes’s antics. Coincidently today is the 85th anniversary of Adolf Hitler’s accession to power, something that happened quite to the surprise of Hitler as well as the leaders of the non-Nazi political parties on the German Right and Left. The non-Nazi German conservatives thought that they could control him, just like GOP stalwarts thought that they could control then Candidate Trump in 2016. You see I don’t think of the GOP as a new version of the Nazi Party. No, they aren’t that clever. I see them as more akin to the German conservative parties who less than six months after they helped Hitler become Chancellor, dissolved themselves in hope of keeping a place at the table in the New Germany. They are the Von Papen’s, the Hindenburg’s; they are Alfred Hugenberg, Hjalmar Schacht, and the other leaders of the DVNP (German People’s Nationalist Party), the Catholic Center Party, and others who sacrificed their honor, integrity, and self-respect to gain a place at the table of Hitler. By and large Nunes and the other members of the GOP who engage in what they are doing doom their party and very likely the country. Be assured; tonight I will raise a glass and I will drink, maybe until I will am legally drunk; but it will be to bolster myself for the struggle for the Constitution and country that lay ahead. I can do no less.